Democratic Presidential nominee Hillary Clinton announced on Friday afternoon that her running mate will be Senator Tim Kaine of Virginia. A senior campaign official gave word to the New York Times around 8:10 PM Eastern Time. Don't mess this one up you guys. Please don't mess this up. In the end, Mrs. Clinton, who told PBS she is “afflicted with the responsibility gene,” avoided taking a chance with a less experienced vice-presidential candidate and felt no political need to push the historic nature of her candidacy by adding another woman or a minority to the ticket. 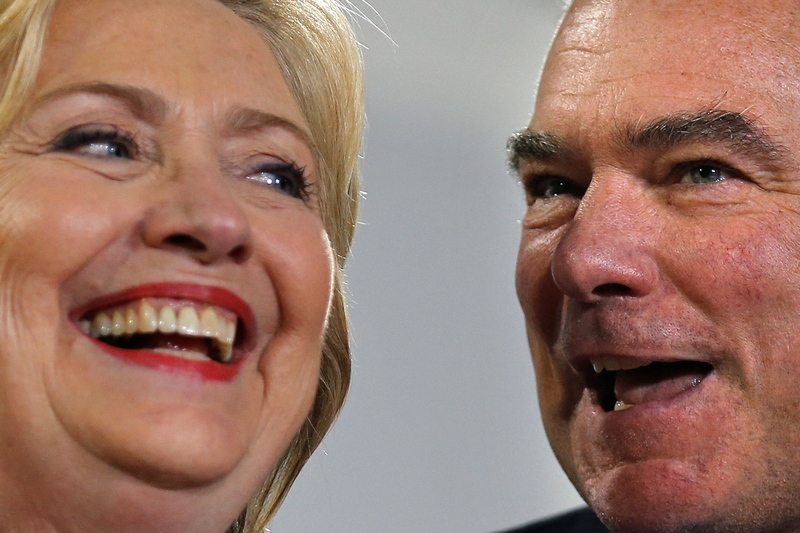 Mrs. Clinton and Mr. Kaine have similar centrist positions on foreign policy, education and criminal justice and they are said to share an easy rapport and a love of granular policy-making. “I do have a fondness for wonks,” Mrs. Clinton said in the PBS interview.